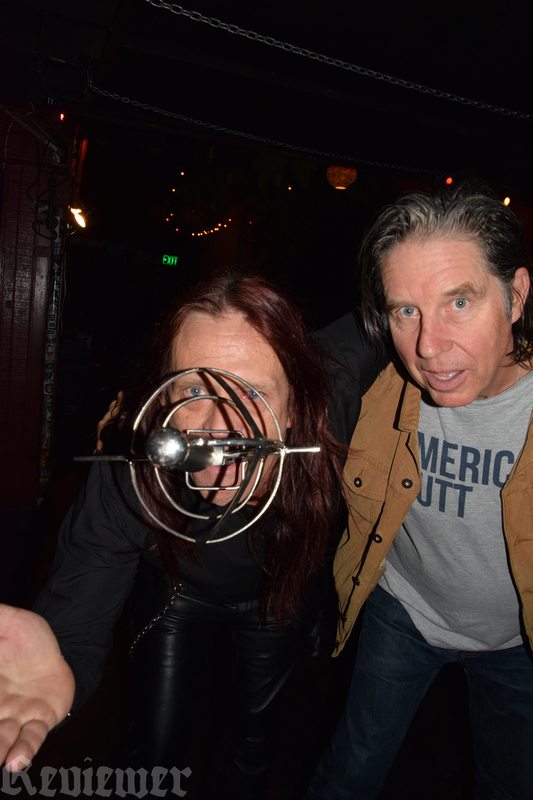 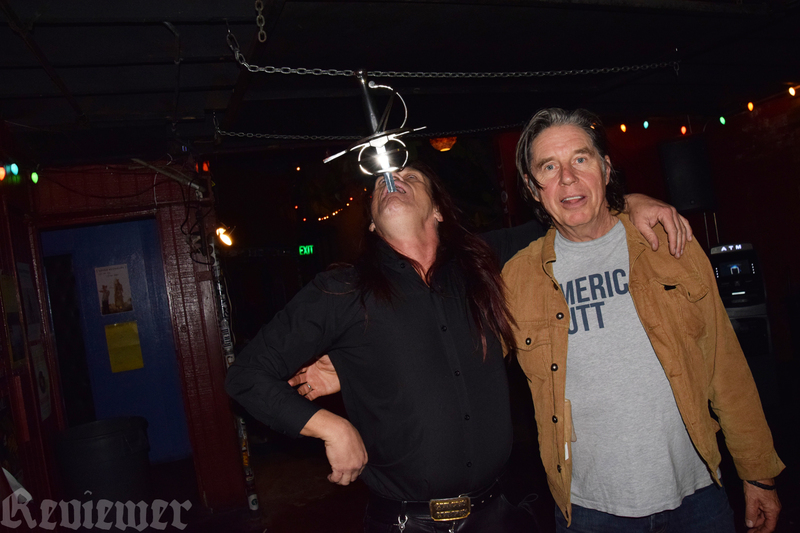 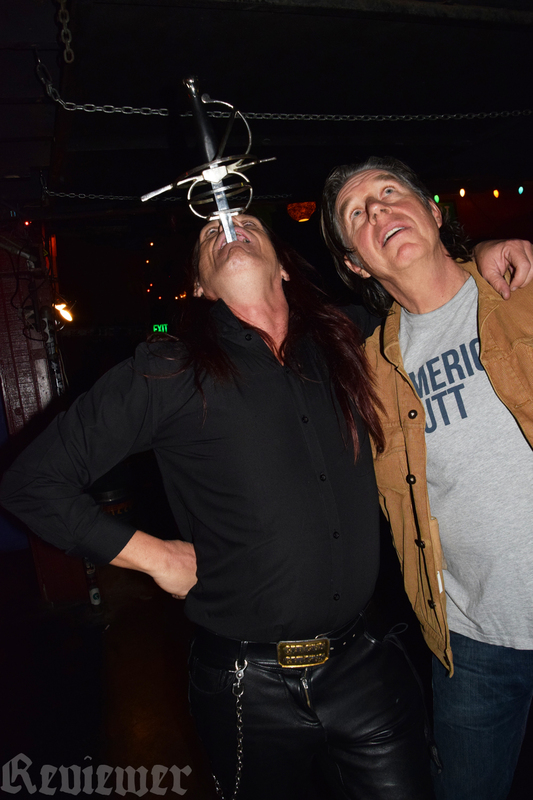 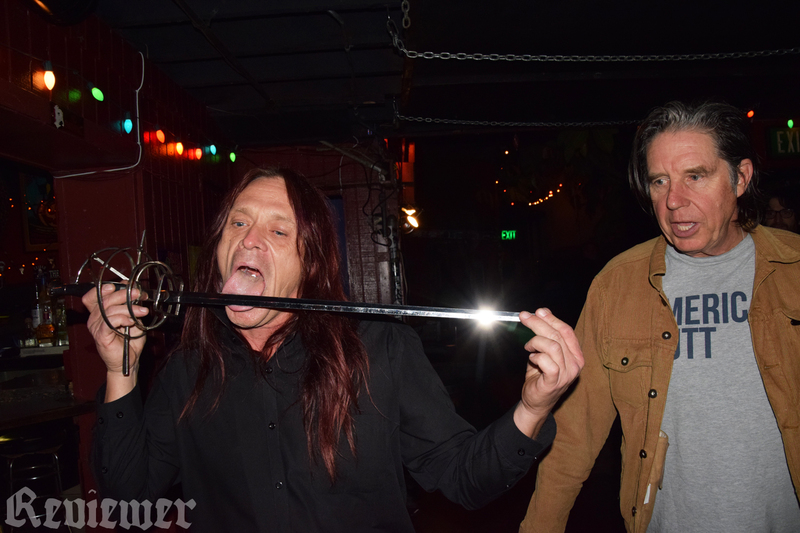 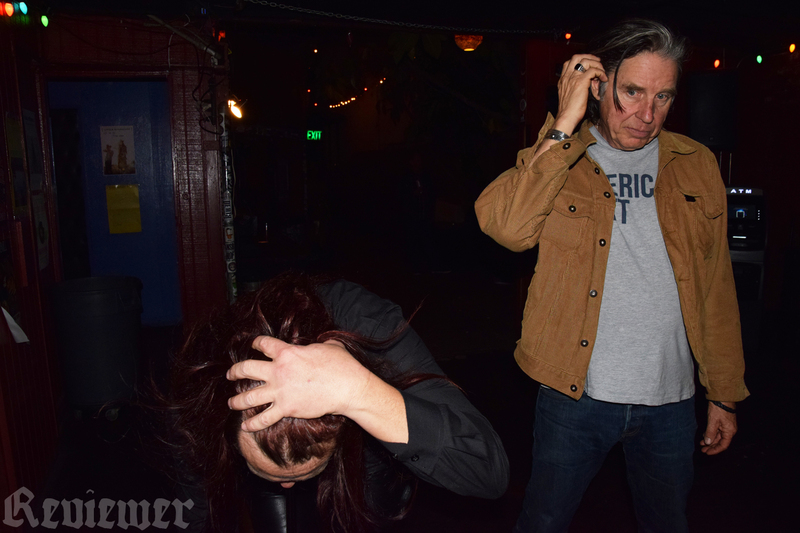 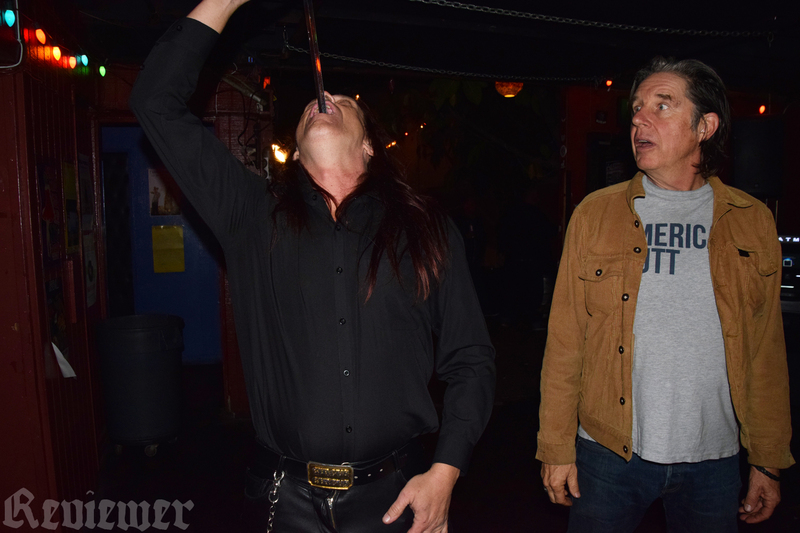 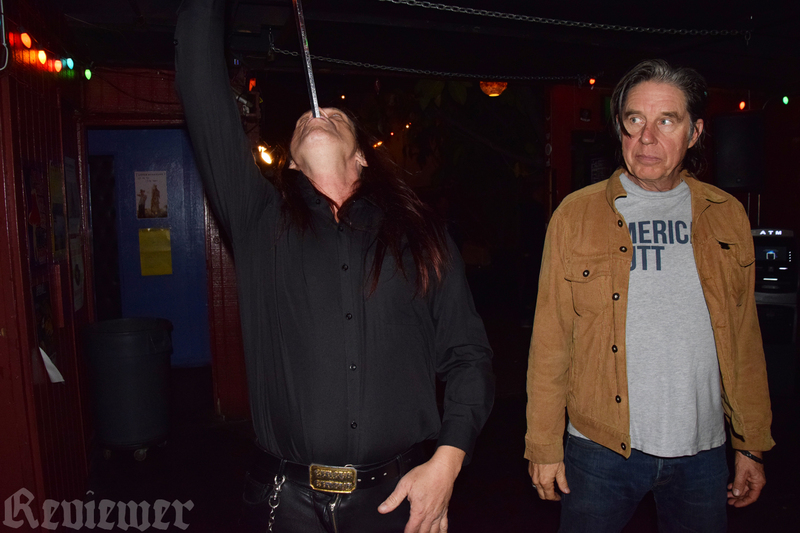 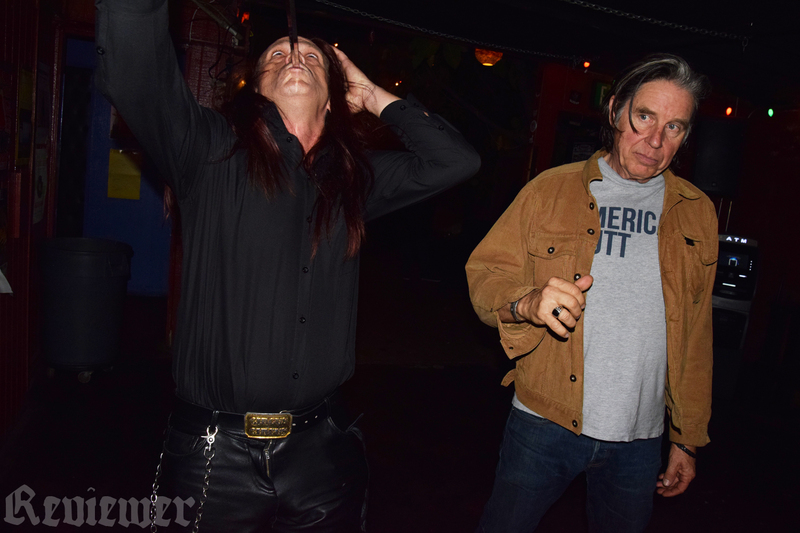 John Doe looks on as Murrugun (“The Magician”) swallows an actual sword for the camera. 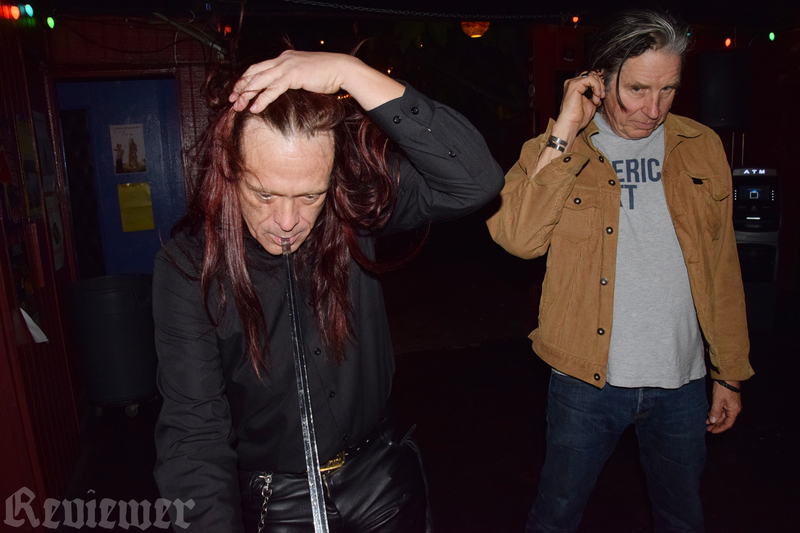 Then they take a bow. 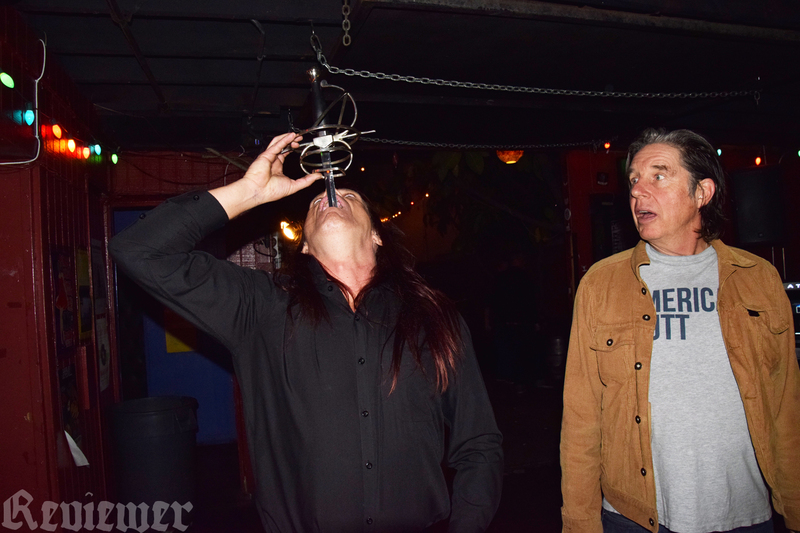 Photos by Reviewer Rob for Reviewer Magazine, on November 28 2015 at 1:28 a.m., after the X show, ReviewerPhoto.com.